Chinese women tycoons are creating their presence conspicuous in the business world. From ‘Real Estate; to the ‘Food Industry’, ‘Search Engine’ to ‘Mobile Phone Components Manufacturer’, ‘e-Commerce’ to ‘Watch and Smartphone Lens Manufacturing’ – the smart Chinese women are striding ahead with their business acumen to rule the nation’s economy. They are billionaires and work tirelessly to control their Companies to achieve the ultimate success. These successful women are truly a breed apart. Melissa Ma Dongmin was born in Hefei, Anhui Province. She studied in junior classes in University of Science and Technology of China. Melissa graduated from the Biology department, New Jersey University in the United States. She pursued her PhD in Biological Sciences. The chemistry and understanding between the two has seen the birth of ‘Baidu’. Robin is an extraordinary expert in the field of information retrieval in Silicon Valley. When he returned to China, Melissa gave him the confidence to start his own business. ‘Baidu’ was born and the rest has become history for the two. When Melissa and Robin took Baidu public, he revealed, “The spirit of Baidu has a kind of courage, and my wife, Ma Dongmin, is the source of courage. She made her suggestion at the moment of truth. It turned out that her advice was an inspiration and a sign that I have chosen the right path.” By the end of three years, Baidu made Robin Li the richest man of China. In 2007, Melissa stepped down from Baidu to take care of the family. However, she returned back as a Special Assistant to her husband, who heads the Company as the Group Chairman. Melissa is worth $3.8 billion, sans her husband’s share. Dali Foods Group’s Founder and Chairman Xu Shihui, wife Chen Liling and daughter Xu Yangyang owns 85% stake, through their family Company – Divine Foods. Chen holds 10%, while daughter Yangyang holds 40% and the rest of the 50% is held by Shihui. Dali Foods Group is a publicly traded food and beverage maker. The mother and daughter are worth $4.24 billion. Xu Shihui, born in China's Fujian province in 1958, did not attend college. From 1987 to 1989, he worked as Head of the Hui'an Succade Factory. Soon after, Xu established his food company ‘Hui'an Meili Minzheng Food Factory’. By 1992, he was elected to be the legal representative of Meili Food. In 1997, the Company was renamed ‘Dali Foods Group’. 8 years later, he and his family members bought it. Shihui expanded the business to cover six categories, including pastries, herbal teas and energy drinks. Dali became the largest producer of breads, cakes and pastries in China. By November 2015, the Company began trading on the Hong Kong Stock Exchange. 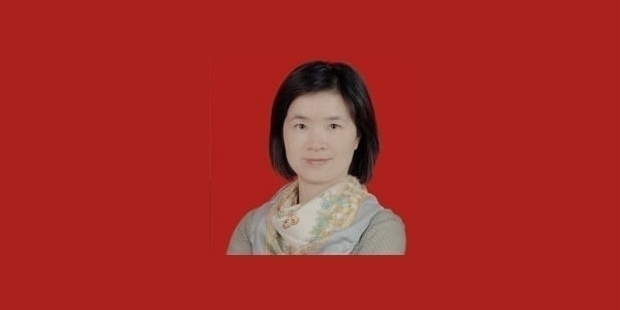 Xu Yangyang is a Vice President and Executive Director at Dali Foods Group. The family lost 27-year-young son, Xu Liangliang in a car accident in 2012. Xu Shihui has been the Chairman of Dali Foods Group, since 2014. Since 1992, he holds the position of the Chairman of Fujian Dali Foods Group. Ji Kaiting, aka Perenna Kei was born in Hong Kong, in 1990. She is the daughter of Logan Property Holdings’ Chairman and CEO Ji Haipeng. Kaiting owns 85% stake in the Company. In 2012, she became a Hong Kong resident. She also holds citizenship of Saint Kitts and Nevis. Logan Property’s headquarters is located in Shenzhen. Logan Property was established in May 2010, in the Cayman Islands. Over the years, from being the sole shareholder, Ji Kaiting became the majority shareholder. She used various British Virgin Islands holding Companies and a family trust, which Kaiting started in Guernsey. The real estate Company is run by father Ji Haipeng. Kaiting is a non-Executive Director of Logan Property Holdings. Father and daughter are worth $4.32 billion. Ingrid Chunyuan Wu was born in Changzhou, in 1970. She studied in Changzhou Party School. In 1989, she completed her nursing course from Changzhou School of Public Health. In 1993, Chunyuan established ‘Shenzhen Yuanyu’ with her husband Pan Zhengmin. In 1996, she moved to U.S and became an American citizen. Wu Chunyuan acted as the CEO of the Company till 2005. The Company's successor was from AAC Technologies Holdings, a part of the mobile phone. AAC Technologies manufactures miniature loudspeakers, receivers and MEMS microphones for Apple and Samsung mobile devices. Wu owns about 26% stake of the Group. Wu has also been co-founded three other Companies. She is worth $4.39 billion. Peng Lei was born in Wanzhou, Chongqing, China in 1972/73. The exact date is not known. 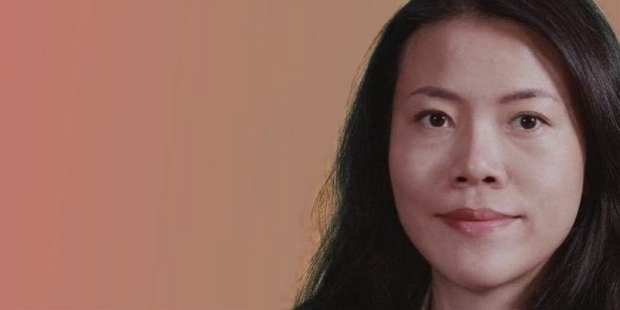 She is a self-made billionaire, who was one of the founders of the e-commerce business group – Alibaba Group. Peng graduated as a Business Administration student from Hangzhou Institute of Commerce in 1994. Post graduation, for five long years, Peng taught at the Zhejiang University of Finance and Economics. She married Sun Tongyu in 1997. In 1999, along with Jack Ma, she established Alibaba. Peng created and looked after Alibaba’s HR department. From 2010 to 2013, she held the CEO position of ‘Alipay’, which became highly successful payment gateway in China. 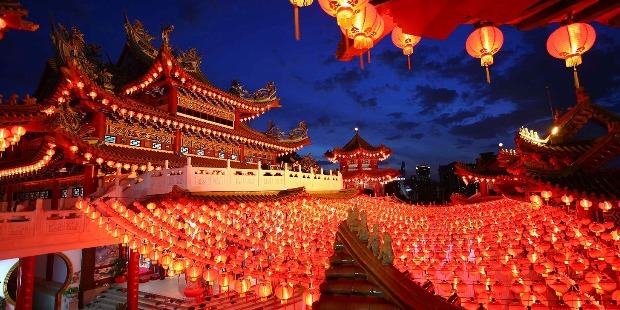 Peng’s management acumen saw ‘Alipay’ expanding to 800 plus million users by 2014. She played an important and multiple roles in the Group. 2013 saw Peng taking over Alibaba Small and Financial Services as the CEO. She was always ahead with innovation and solutions. She was instrumental in the mobile payment system. She was touted as Alibaba’s next CEO. However, Peng never got the post. In 2014, Peng established ‘Ant Financial Services’ to support small businesses. 40% of the stake of Indian mobile wallet operator ‘Paytm’ is owned by Alibaba and Ant Financial Services. Ant Financial broke the record for the world's largest private fundraising, found for an internet company at $4.5 billion in 2016. The fundraising placed the Company at $60 billion valuation approximately. Peng Lei is worth $6.06 billion. Zhang Yin was born in Shaoguan, Guangdong in 1957. She was the eldest of the eight siblings. Her father Zhang De En was an officer in the Red Army, who was imprisoned during the Cultural Revolution for Rightist activities. Zhang struggled with her family during her father’s imprisonment. Being the eldest, she started working at a young age to support the family. Zhang worked as a bookkeeper in a Guangdong textile factory, while attended trade school for accounting. She moved to Shenzhen to manage the accounting and trading departments of a paper trading company. Shenzhen City was becoming the special economic zone and export hub. It is here, Zhang became aware of big opportunities in Hong Kong's wastepaper trade with China from a paper-mill contact in Liaoning. In 1985, she was encouraged to enter the sector. 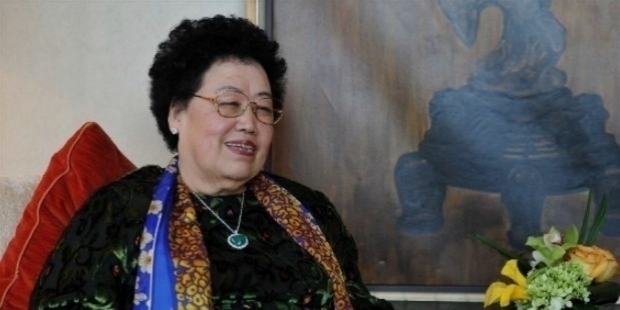 She established the paper trading company ‘Ying Gang Shen’ in Hong Kong in 1985. She started the business with her life’s savings money $3,800 to build the empire, it is today. In 1990, Zhang moved to Los Angeles in search of better quality recyclable paper. She established ‘America Chung Nam’ with Liu Ming Chung, her second husband. Since 2001, America Chung Nam has maintained the No.1 American paper exporter spot. It is, by volume shipped, the largest overall exporter of freight to China from the United States. In 1995, Zhang Yin returned to Hong Kong to expand her business into the packaging sector and co-founded Nine Dragons Paper Holdings Limited with her husband and Zhang Cheng Fei, her younger brother. In 2006, Nine Dragons Paper Holdings Limited raised $500 million in an initial public offering at the Hong Kong Stock Exchange. By the end of the year, the stock had nearly tripled in value. In 2009, Zhang’s Company invested $800 million to increase the production capacity. It became Asia's first and then, the world's largest maker of packaging paper. Zhang Yin is at the helm of making most of the strategic decisions. Husband is the CEO of the Company. Her brother looks after general management. Zhang’s son Lau Chun is a non-executive director. Today, Zhang Yin is worth $6.82 billion. She has indeed come a long way, since she started working at a young age to support her family. Chen Lihua was born in the Summer Palace of Beijing, China in 1941. 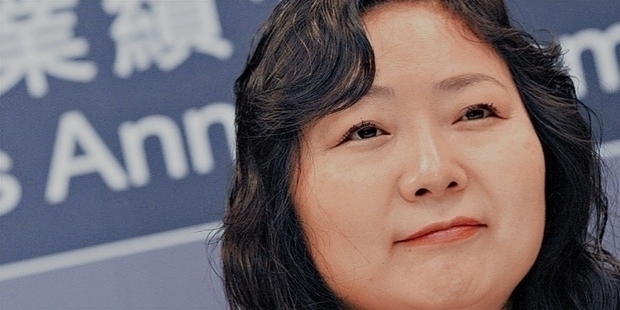 She is the Founder and Chairman of Fuwah International Group, one of Beijing's largest commercial property developers. Chen is also the founder of the China Red Sandalwood Museum. She is also the curator of the museum. She is popular as one of the cultural diplomats of China. Chen Lihua had to leave high school, because of poverty. Not the one to give up so easily in life, Chen started her furniture repair business. She moved to Hong Kong during the early 1980s. A smart business woman, she used to buy and re-sell furniture. She saved enough and bought 12 villas. In the late 1980s, Chen Lihua moved back to Beijing. She established Fuwah International Group in the early 1990s to expand her real estate business. Having learned the hard way in life, she diversified in the fields of agriculture, tourism, electronics, hospitality and red sandalwood art production, etc. In 1999, Chen established the China Red Sandalwood Museum. The 25,000 sq m museum was build to remind her love of red sandalwood from the childhood years she spent in Summer Palace. 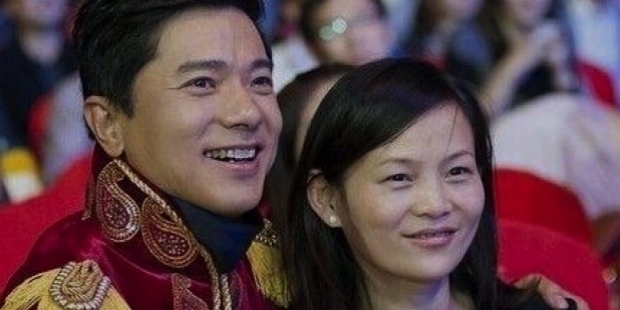 Married to Chinese actor Chi Zhongrui, Chen has one son and two daughters. The family lives in her Chinese Red Sandalwood Museum. She has handed over the day-to-day management to her son. Chen concentrates solely on her museum. She is worth $7.65 billion. In 1964, Wu Yajun was born in Chongqing in an ordinary family. In 1984, she graduated from the Department of Navigation Engineering of the Northwestern Polytechnical University. Wu Yajun co-founded Longfor Properties. She is the Chairwoman of the real estate firm. Wu worked at the Qianwei Meter Factory from 1984 to 1988. She became a journalist in 1988 and worked as an editor at the China Shirong News Agency till 1993. The newspaper was controlled by the Construction Bureau of Chongqing Municipal Government, which proved essential for her in building up her network in the government and business world. In 1995, Wu and Cai Kui, her former husband co-founded Chongqing Zhongjianke Real Estate Co Ltd. The Company was renamed Longfor Properties later on. The real estate boom saw Longfor Properties expanding base in major cities of Chengdu, Beijing, Shanghai, Changzhou and Dalian. In 2009, Longfor Properties went public on the Hong Kong Stock Exchange. Prominent investors in the firm are Singapore's government, ‘Ping An Insurance’ and Temasek Holdings. In 2013, Wu Yajun established Wu Capital. Her wealth is managed by Wu Capital. The Company has invested in technology companies, including Uber and Evernote. 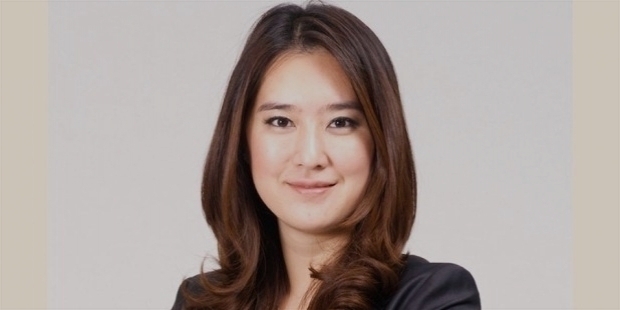 After her divorce with Cai Kui in 2012, Wu’s stake in Longfor Properties is left to 30%. She is currently worth $7.96 billion. Zhou Qunfei was born in Xiangxiang, Hunan province, China in 1970. She is the youngest of the three children. Her father was a soldier, who lost a finger in an accident in the 1960s. He also became partially blind. However, he used to make bamboo baskets, chairs and repair bicycles to support his poor family of five. Zhou used to help family to raise animals for sustenance and small profit. Among her siblings, she was the only one to attend Secondary School. She was a bright student. However, at the age of 16, she dropped out of school to earn her living as a migrant worker. Zhou moved in with her uncle's family in Shenzhen, the special economic zone in Guangdong province. Zhou chose to work for Companies near Shenzhen University. She took part-time courses at the University. She passed her examinations to be certified for accounting, computer operations, customs processing. She even obtained her licensed for driving commercial vehicles. However, she regrets for not having studied English. The young girl’s dream was to become a fashion designer. However, destiny led her towards greater deeds and achievements. Zhou worked for a small family-run firm, making watch parts. She submitted her letter of resignation after three months, explaining her reasons, yet expressing gratitude for the working opportunity. The factory Chief was moved by her confession and promoted her. In 1993, Zhou established her own Company at the age 22. She had saved nearly $3,000. Her cousin was the inspiration behind her success. The company commenced its journey with her brother, sister, their spouses and two cousins. They worked hard in a three-bedroom apartment. Zhou involved herself in all parts of the Company and creating improved designs of factory machinery. She insisted on providing high-quality watch lenses for customers. Her big break came in 2001. Zhou’s Company won a profitable contract to make mobile phone screens for the Chinese electronics giant TCL Corporation. In 2003, Zhou's Company received a request from Motorola to develop glass screens for their Razr V3. Zhou Qunfei started touch-screen maker Lens Technology. HTC, Nokia and Samsung Electronics became Lens Technology’s prominent customers. In 2007, Zhou’s Lens Technology produced touch-screen for Apple’s iPhone. It became the dominant player of the industry. 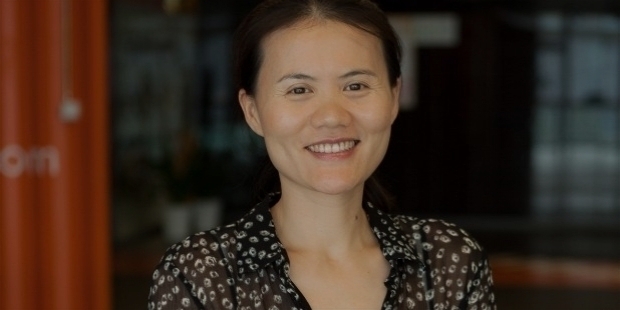 Zhou Qunfei’s journey has come a long way from her early 3-bedroom startup. Today, her Company churns out more than a billion glass screens from 32 different factory locations. Zhou Qunfei had married her former factory boss. They had a daughter, who is studying overseas. The couple got divorced. In 2008, she remarried Zheng Junlong, a longtime factory colleague. Zheng serves on the Lens’ board and holds 1.4% shareholding in the Company. They have a seven-year-old son. The family lives in a $27 million estate in Hong Kong. The self-made billionaire is worth $10.61 billion. She is one of the richest women in the technology sector. Yang Huiyan was born in 1981. 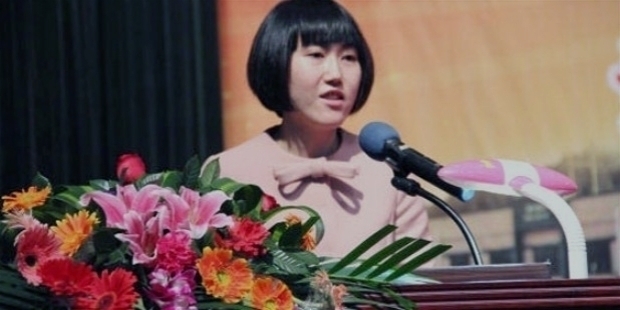 She is the daughter of Yang Guoqiang, the business tycoon, who established Biguiyuan, in 1997. Yang graduated from the Ohio State University in 2003. 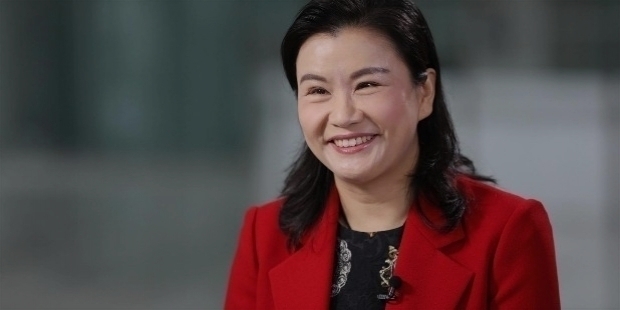 Worth $24.25 billion, Yang is the richest woman in Asia. 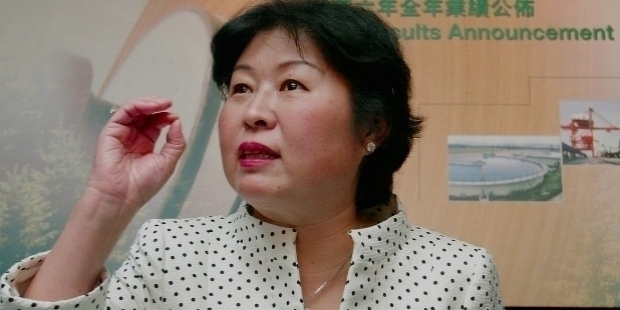 In 2007, her father transferred 70% of Country Garden's shares to her, before its IPO. Yang Huiyan’s ‘Country Garden’ is a Chinese property developer. Yang is the Vice Chairman of the board's governance committee.